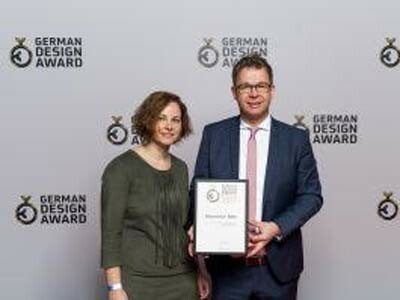 Panovista Max, the sun protection screen from Renson for glass-on-glass corner windows was honoured by the German Design Council with a ‘Special Mention Award’ at the 2017 German Design Awards. The latest honour follows the ‘Innovationspreis Architektur + Fenster Tür Fassade’ title at the Fensterbau Frontale trade show and the Iconic Award, both received in 2016. According to the German Design Council, the sun protection screen for corner windows is based on a simple but ingenious principle in a technically and visually elegant execution. In its evaluation, the jury noted that even with the sun protection screen down, one could continue to enjoy the view to the outside through the glass-on-glass corner windows. With the Panovista Max sun protection screen for glass-on-glass corner windows, Renson is the first on the market to introduce a solution that provides the necessary protection for large, modern corner windows without annoying guides, cables or profiles in the corner. Very importantly, even with the sun protection screen rolled down, one can continue to enjoy the panorama outside.